On the weekend of Feb. 28-March 1, 2015, Hofstra Law Mock Trial Teams reached the finals in two mock trial competitions, the seventh annual Capitol City Challenge and the Queens District Attorney’s Office Spring 2015 Mock Trial Competition. Hofstra Law students Carissa Danesi 2L, Danielle Fagan 1L, Nipun Marwaha 2L and Lauren Reilly 2L were finalists in the Capitol City Challenge, held at the Superior Court of the District of Columbia. The team was coached by Kaitlyn Flynn ’14, a former member of the Hofstra Law trial competition program, under the supervision of Professor Barbara Barron ’84, director of student advocacy programs. The Capitol City Challenge competition exposes participants to the dynamics of trial advocacy in a 21st-century courtroom. Unlike many other competitions, the Capitol City Challenge facilitates the creative use of technology in the presentation of trial materials. 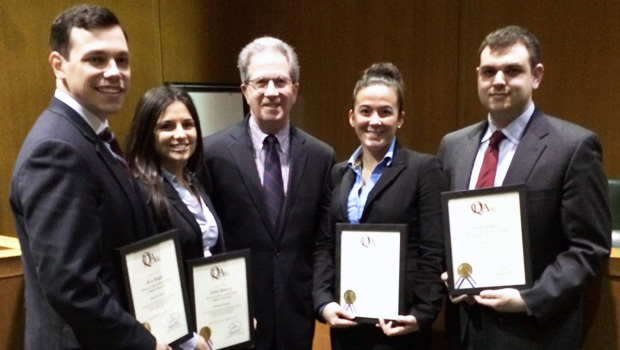 Hofstra Law students Tiffani Diprizito 2L, Sean Hughes 3L, Lucas Kessler 3L and Brianne Richards 2L were finalists in the brand-new Queens District Attorney’s Office Mock Trial Competition. Hughes also won Best Advocate for the Preliminary Round and Best Overall Advocate for the competition. 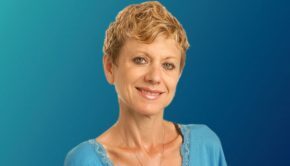 The team was coached by Professor Fred Klein.